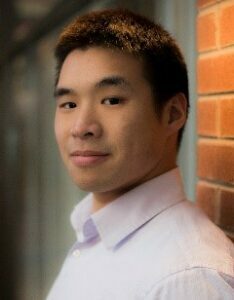 Hailing from the Washington D.C. area, Jeff graduated from the University of Maryland in 2011 with BS degrees in Operations Management and Finance. Jeff joined Accenture in 2012 as a management consultant. During his six-year tenure with the company, he worked with several clients on a variety of projects ranging from enhancement valuations to change management. Connect with him on LinkedIn. I’ve been searching for an MBA program for quite some time, but was having difficulty finding one I was excited about until I cam across The Sustainable Innovation MBA program. I knew that I wanted to incorporate sustainability components into my career, so this program felt like the perfect fit for me. What has been your favorite part of the program thus far? I think the access to amazing people doing inspiring things in their career. It’s been great learning about all the potential routes my career can take. 1. Be prepared to work. This program is no joke. 2. Be prepared to have your mind opened to new possibilities of how the world can work. 3. Be comfortable with seeing the same people. In the same building. In the same room. Every day. Hopefully they’re great like ours are. How has The Sustainable Innovation MBA program benefitted you so far? It’s opened my eyes to the way business can and should be done. I see even more opportunities to utilize business as a means to change the world, more so than I did when I started the program just a few short months ago. Vermont is also awesome, so if you’re not familiar, you should make a visit. 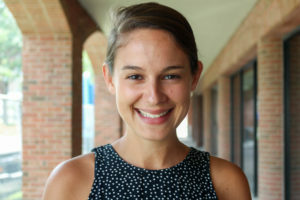 Originally from Bristol, Vermont, Keil studied Government and Environmental Studies at Skidmore College. 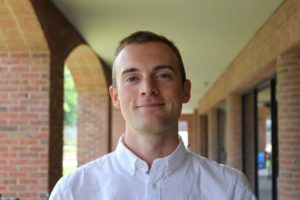 He comes to us from work at the Vermont Natural Resources Council and, most recently, Smith & McClain as their Solar Sales and Marketing Consultant. Connect with him on LinkedIn. I wanted to continue working in a field that made a positive impact in our communities and on the world in general and felt the the private sector was the right place to move into, but I wanted — and needed — to expand my professional toolkit first. Exposure to and interaction with some of the leading thinkers and doers in the business world who are solving some of our major societal challenges. Also, developing competencies in business management and applying these foundations to developing the new sustainable business paradigm has provided me with a newfound sense of agency and purpose. It’s been an incredibly inspiring learning environment so far. Squeezing two years into one is no joke. Be prepared for a full-time commitment to this program. Also, if you’re looking to better know yourself, face hard truths, and grow personally and professionally, this program may be for you. Lastly, be prepared to question your thinking and live in ambiguity a lot — essential skills for business leaders in my opinion. I feel I have already developed a solid foundation on the fundamentals I wanted to learn: finance, microeconomics, and business strategy, among others. I’ve also benefitted from professors and the student cohort that are especially gifted at taking big picture challenges and bringing them into a context that can be manageable and inspirational. The future is here, it’s good, and it’s The Sustainable Innovation MBA. 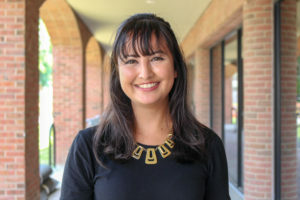 Elissa is a Connecticut native who received her undergraduate degree in Art History and Dance from Washington University in St. Louis. After graduating, Elissa attended the Ailey School in NYC before embarking on her professional dance career. 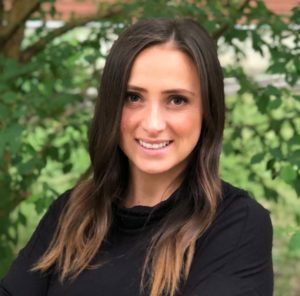 Elissa comes to The Sustainable Innovation MBA from Lululemon where she channeled her natural curiosity and knack for visual storytelling into management and visual merchandising roles. Connect with her on LinkedIn. I chose this program for its welcoming, collaborative environment and because I wanted learn the questions to ask and tools to use to make business better. I also love knowing that I will be back out in the world in less than a year, better equipped to make a difference! So far my favorite element of the program has been the quality and array of guest speakers. There is an incredible network of sustainability and business professionals around this program, and being able to connect with them has been extremely valuable to all of us. 3) This program is situated in an amazing city so no matter how much work you have, make sure to make time to get out of the classroom and explore! I feel so fortunate to be surrounded by my amazing cohort everyday. I know the relationships I am building will be lasting and I cannot wait to see what we all get up to after the program. EDITOR’S NOTE: Four members of our current cohort are international students, coming to the program from around the globe, attracted to the program’s perspective on the role business can play in addressing global challenges. Esteban Echeverria, Noelle Nyirenda, Bhargavi Montravadi, and Alexa Steiner sat down recently to talk about coming to Vermont and settling into the challenges of The Sustainable Innovation MBA program. Their bios (along with the entire Class of 2019) can be found here. The Sustainable Innovation MBA program has been quite the adventure so far. Between hours of class work, group work, readings, guest speakers, and more, the first few months of the program have challenged and inspired us. For a few of us in the 2019 cohort, the experience leading up to the first day of the orientation was an adventure in itself. “Coming from Costa Rica to this program is one of the best decisions I have ever made. I never thought I was going to encounter such a developed and community-conscious city in Burlington. Its citizens, apart from being some of the nicest people I have known, are very aware of social and environmental issues, as well as politically active and full of insights that will make you think about the status quo. From the community-owned grocery stores, to the amazing Lake Champlain, this city has what it needs to be the best place as the home of The Sustainable Innovation MBA. “Moving to Vermont for the program was not without its challenges, and they included but were not limited to: finding accommodation from another continent, completing a visa application in three weeks and moving two chunky pieces of luggage between four flights. But the most difficult part about the whole move was explaining to friends and family where Vermont was, and what it was (there are still some skeptics who aren’t convinced it is an actual state). “It was easier to explain the existence of the state to some more than others. For instance my father, being an avid political news reader, was aware that the senator was Bernie Sanders, who was also a candidate for the Democratic nomination for president and that the state has some of the more progressive policies when it came to the environment. He was quite proud that his daughter was going back to engineering school to find a way to solve global warming. Unfortunately, I had to explain that I was actually going to business school for an MBA. He is now rather heartbroken that I am not getting a Ph.D. Here I should note that African parents are always up-selling their children when it comes to education. “Fortunately, I didn’t have the problem of explaining where Vermont is to my family and friends like Noelle, because I was already living in Vermont. But, when I was moving from Boston, I received lot of questions on where Vermont was so, I took the easy route and told them that it’s near Boston. So now they must be thinking that Vermont is somewhere in Massachusetts close to Boston. “I always dreamed of doing an MBA. But whenever I tried to pursue my dream, an enticing job offer drifted me away. After my engineering, a job offer in Infosys and in Boston, it was the job offer at Deloitte. Not sure if I chose the program or the program chose me; I am elated to be in The Sustainable Innovation MBA program and enjoying every moment of it. ‘The amalgamation of my career initiative MBA with my passion of integrating sustainability into the businesses/daily life was a dream come true’- This is a statement from my Statement Of Purpose, a part of the application process. As any middle-class Indian family, mine was delighted and excited that I will be doing MBA in the USA. Still, I was pretty apprehensive about sitting in an American classroom, but after Module 1, It felt like I knew Kalkin 110* from my previous life. “One. The school helps so much with the process of getting a student visa. “Two. It’s hard to find a place to live in Burlington — start your search early! “Three. Be prepared for your American classmates to make fun of your accent and your hockey team. “Four. Try to tame your politeness — sometimes it’s okay to just talk without raising your hand. Esteban, Noelle, Bhargavi, and Alexa: If you are a prospective international student reading this blog post, please reach out to us. 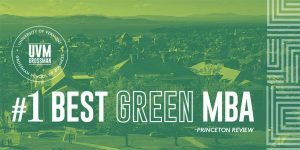 We would love to discuss our experiences so far, what it took to get here and why choosing UVM and The Sustainable Innovation MBA program is a great decision. Torsten — or, Tor — comes to The Sustainable Innovation MBA with a background in digital marketing and strategic management. While at the University of Rhode Island, Tor was a member of the varsity track and field team. Connect with him on LinkedIn. If ever there has been an MBA program designed with disruption and creative destruction in mind, it’s this one. This MBA isn’t a fast track to Wall Street, it’s a fast track to learning how to be a serial industry disruptor. What has been your favorite element/part of the program so far? Not a single day goes by when I don’t learn something new. 1. 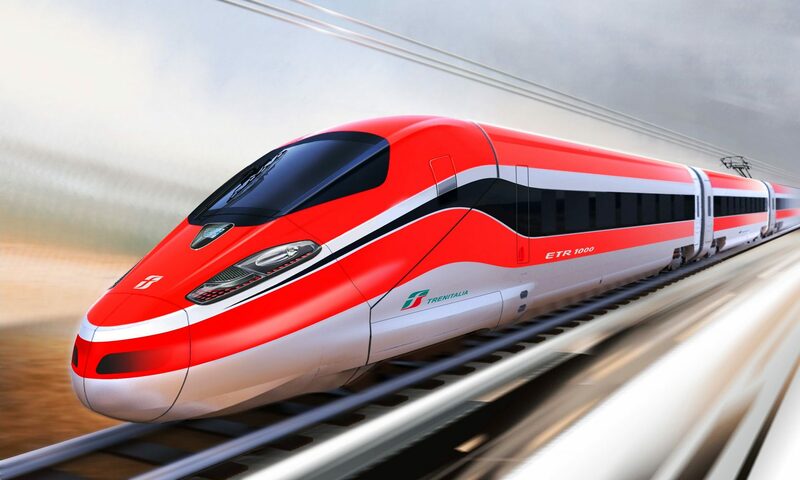 This is a fast moving program. Don’t forget to breathe. 2. Always be ready for opportunity. 3. After you remember to breathe, breathe again. While you are taking time to breathe, make time to reflect. Material comes at you so fast that if you don’t actively make time for reflection, it’ll be difficult to create long lasting takeaways. How has The Sustainable Innovation MBA benefitted you so far? We meet a ton of professionals who are incredibly passionate about what they do. The opportunity to learn from their successes and failures is a gift. All of the speakers from Ben and Jerry’s bring ice cream with them! 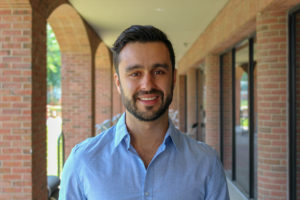 Esteban, born and raised in San José, Costa Rica, returned to his native country after living for six years in the United States and obtaining BSc. and MSc. degrees in Mechanical Engineering from the University of Maryland. He comes to the program from Ad Astra in Costa Rica, where he was a project engineer for its renewable energy and environmental sciences division. Connect with him on LinkedIn. As a mechanical engineer working in the renewable energy and hydrogen fuel sector for six years, I started to notice that the development of these disruptive technologies will not reach full commercialization out of pure environmental enthusiasm. I understood that the creation of new business models based on sustainable practices that serve the vested interests of not just some, but all of the stakeholders, should be the objective to be pursued. It was then that I realized it was time to go back to school. I chose to attend an MBA program because I saw business as a tool to complement my engineering background. However, I specifically chose this program because it has an primary objective that I did not find in any other MBA program ― to make the world a better place. Every classmate of the cohort has a similar story and reason to be in the program. We are all deeply passionate about sustainability issues and finding ways to solve them. This makes us create strong bonds as well as a respectful and caring environment to share our ideas and learn from each other. 1. If you are not into sustainability and contributing to solve the global environmental and social issues, this might not be the program for you. 2. The program is only one year, which makes it really intensive. It is really hard for anyone to attend while having an unrelated side project or job. 3. The city of Burlington is a beautiful developed rural area, unlike anything I have seen before. It has a very strong sense of community, and their citizens are very much interested in being active participants and helping each other. Before starting this program, I had only worked with engineers and I was used to their particular way of thinking, solving problems, debating. It has been quite useful to be exposed to such a diverse group of people, with such different backgrounds, ranging from international development to finance, art, and even fashion. This has taught me that there are many ways of solving the same problem, and its always better to bring different fresh ideas to the table. I am an international student, from Costa Rica, and I strongly recommend this experience to anybody who lives outside of the United States. Since I came, everybody has been very friendly and helpful to me. You will feel just like home. 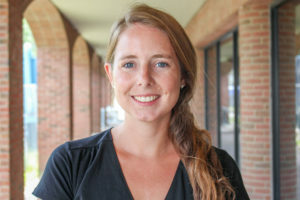 A recent graduate of Drexel University, Alyssa brings a passion for apparel, textiles, and product development to the The Sustainable Innovation MBA program. Connect with her on LinkedIn. As the #1 Green MBA program in the country, I knew the program could give me the skills, tools, and knowledge that I would need to in order to further my career in sustainability and the fashion industry. What has been your favorite part/element of the program so far? My favorite element of the program is the diversity of my cohort — it makes for lively class discussions that have taught me so much more than a textbook ever could. 1) There is a huge focus on leadership and teamwork to make you the best leader and team player that you could be, 2) The group work bonds you to your cohort, and 3) Your cohort will become your extended family. I have learned that there are so many ways to implement sustainability in a business model that is both ethical and cost-effective. The program’s location in Burlington, Vermont is inspirational as the culture here lives and breathes sustainability and the great outdoors. 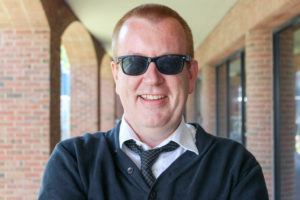 Kevin Hoskins brings management and leadership experience in the music business and creative industries to The Sustainable Innovation MBA program. He was interviewed by Isabel Russell, an undergraduate at UVM. I came back to Vermont because I craved the community and the spirit of entrepreneurship that seems to be part of the state’s DNA. I chose this program because I wanted to learn frameworks and strategies to better integrate my leadership, management, and entrepreneurial experience with the program’s sustainability and innovation focus. 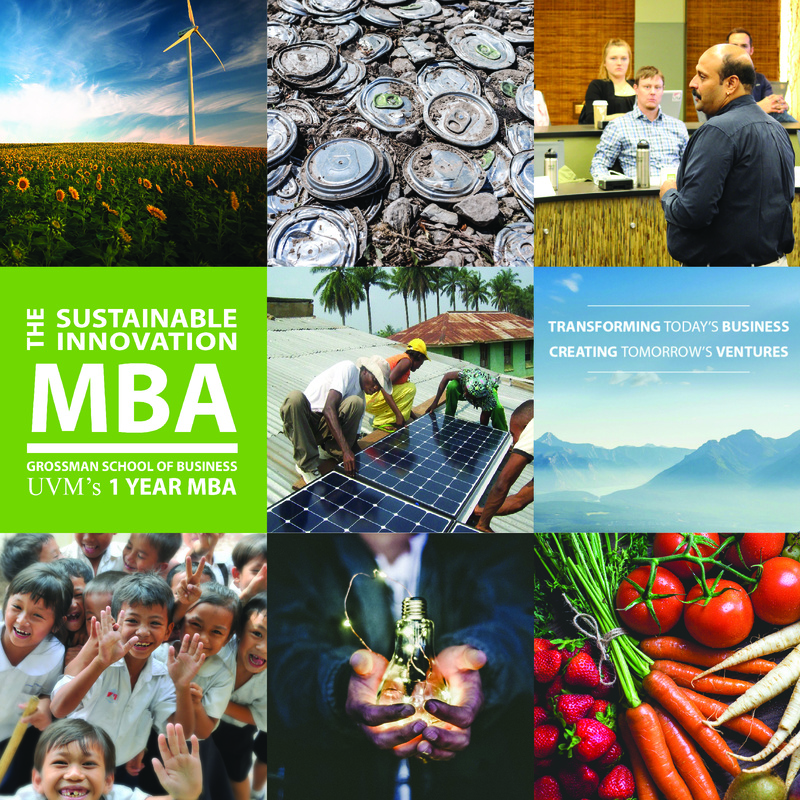 The Sustainable Innovation MBA program at UVM speaks to my goals and values: resisting business-as-usual, having the optimism to see challenges as opportunities, and needing to develop new business models (and market-based solutions) that incorporate sustainability and future-oriented thinking. My favorite part of the program is the people: my cohort, the professors, and the greater community that surrounds this program. Every day, I’m grateful for the opportunity to spend eight hours in a room learning from people that want to get creative about solving challenging problems. First, be willing to listen…and embrace collaboration. You’ll be put in situations where teamwork is essential to achieving your goals. Remember to listen to your teammates and be willing to collaborate to achieve something greater. Second, follow the threads that interest you. The year goes by quickly and there’s a lot of information coming your way. It’s easy to fall behind if you don’t stay on top of the work. But don’t forget that you can always dive deeper on the subjects that you’re passionate about. Adopt a learning mindset. And stay curious. Lastly, be prepared to challenge yourself. Be willing to re-frame your mental models. Ask questions. Be flexible. And get comfortable with uncertainty. It’ll serve you well in the program, but also in your future work. The Sustainable Innovation MBA has helped me learn analytical tools and financial models to help improve and thus transform businesses. This program is a great reminder that people are not only the greatest asset of any business, they’re our greatest tool for innovation and our greatest opportunity to build a better world. Ariella Pasackow ’18 left her previous position as Program Officer for RefugePoint to join The Sustainable Innovation MBA program. She was interviewed by Isabel Russell, an undergraduate at UVM. 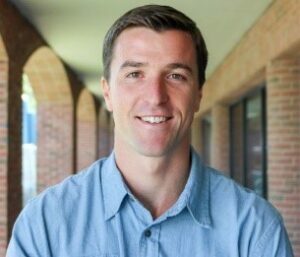 I grew up in Vermont, but built my career out-of-state and overseas, so The Sustainable Innovation MBA was the perfect bridge to return home and grow my professional network in Burlington. 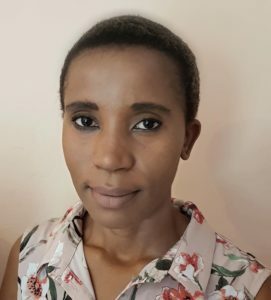 With a background in nonprofit administration and international development, I wanted to gain business tools and frameworks for growing sustainable enterprises and inclusive company cultures. I am passionate about social justice issues, gender equity, and refugee resettlement in Vermont, and plan to work in greater Burlington for the foreseeable future. I have learned just as much from my peers as I have from my professors, and am so grateful for my cohort community. Unlike more traditional MBAs, we have cultivated an incredibly supportive learning environment, where all different types of learners can thrive. By building trust, respect, and strong interpersonal relationships, we have been able to communicate effectively through periods of stress, confusion, and anxiety. We cheered each other on before tests and presentations, and made sure to keep the the classroom energy high despite too many hours indoors. REST. Do whatever you need to do to take time off before the program starts, and allow yourself the time and space to transition. Classes start Day 1, and orientation is no breeze! Whether you are coming from undergrad or a career, moving across the country, or commuting from down the street, take time to rest and rejuvenate before the program starts. You will be nonstop for twelve months. REFLECT. Taking one year out of your career to be a full-time student is an incredible privilege and opportunity. Don’t let the weeks slip away bogged down in the daily grind without reminding yourself why you are here, what you want to learn, and where you want to put your energy. You can’t do everything, but you can commit to prioritize, plan, and proactively work towards your personal and professional goals. The Sustainable Innovation MBA students have shared values, but often very different expectations for during and after the program. Celebrate this, and learn from each other. PRIORITIZE TEAMS. Every module, you will be assigned a small group to work with for eight weeks on every class assignment and deliverable. Teamwork is both the most challenging and most rewarding part of The Sustainable Innovation MBA experience. It will be fun, frustrating, time consuming, and hilarious. You will design and create products you would never think of alone, and test processes and procedures on how to best work together, designate roles, delegate, and download. You will learn how to brainstorm without judgement, make decisions under stress, and maximize the quantity and quality of your work despite minimal time and resources. Individual assignments are few and far between, and readings can always wait until later. Your grad school success is dependent upon the success of your team. Cherish them. The Sustainable Innovation MBA has introduced me to more people, ideas, and resources in the last eight months than I could have ever imagined. I have gained a vocabulary and confidence to ask questions and solve problems I had only thought about through a nonprofit lens. It has shown me the immense value of my previous work experience, and the endless possibilities for leadership, growth, and opportunities in sustainable business with a triple bottom line approach (people, profit, planet). The Sustainable Innovation MBA could have not come at a better time in my life as I seek to pivot into for profit ventures and social entrepreneurship. I am immensely grateful for my peers, professors, and alumni network that has grown to create a true community. Julia Lyon left her previous position as an Internal Communications Manager for Enel Green Power to join The Sustainable Innovation MBA program. She was interviewed by Isabel Russell, an undergraduate at UVM. When I was an undergraduate student at UVM and took my first course on corporate social responsibility (CSR), I had an epiphany. I knew that I wanted to create environmental and social good using the power of business and that earning an MBA was likely in my future. I chose to attend The Sustainable Innovation MBA for several reasons. I was drawn to the one-year accelerated program, the program’s holistic approach to incorporating sustainability in all coursework, and the opportunity to return to beautiful Vermont. My favorite part of the program has been getting to know my peers. We’re a group with a diverse set of backgrounds and interests and I find that I’m continuously learning from my classmates. With the amount of team assignments required throughout the coursework (there are a lot! ), you get to know your classmates very quickly. The leadership component of The Sustainable Innovation MBA curriculum. If developing strong leadership capabilities is of interest to a potential student – I recommend this program. We have multiple leadership-focused courses, a year-long leadership seminar, and many opportunities to connect with local business leaders to learn from their experiences. The amount of team collaboration that’s involved. At various points in the program you’ll have as many of three different teams that you complete projects and coursework with. This is a great opportunity to learn from one another that really develops your time management, communication, and collaboration skills. Practicum projects. These summer consulting projects are a way to apply the skills you’ve developed over the year, so it’s important to explore early on what you’re looking to gain from your practicum experience. 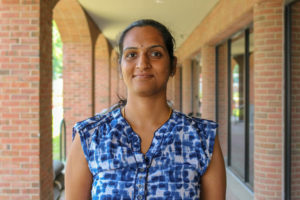 The Sustainable Innovation MBA has helped me explore my quantitative skills in finance and accounting and made me realize that I do really enjoy finance. The leadership component of the program has also helped me understand the importance of leadership of any business and think more about my future impact as a leader.